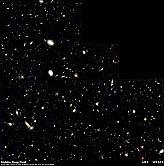 We previously posted to the CCF website an article about the number of stars in the universe. More stars than grains of sand in the world mentioned the studies of Dr. Simon Driver, who has guessed at the number of stars we can see...and can only guess at the ones we're not seeing. On January 11th, the news was that we actually could have more planets than stars in the Milky Way! Dr. Driver's studies have us thinking that there are more stars than grains of sand in the world. Does that mean we could actually have more planets than grain of sand in the world? - Let's rewrite "the Star-Money" Story! - How was Iron discovered? - Would you like to see a woolly mammoth?